Senior stakeholders believe that the global maritime industry is ill-equipped to deal with the major issues it will face in the next 10 years, according to the Global Maritime Issues Monitor 2018, published by the Global Maritime Forum, insurance brokerage Marsh, and the International Union of Marine Insurance (IUMI). The report examined the impact and likelihood of 17 major issues based on research among senior maritime stakeholders across over 50 countries. The research concluded that the maritime industry does not appear to be prepared for any of these issues. The researchers also expressed worries that the issues the industry is least prepared for are also the ones deemed to have potentially the biggest impact on the sector. ‘Cyberattacks and data theft’ is the risk with the highest probability of affecting the maritime industry, and is also the one it is the least prepared for. This led to the report describing it as the industry’s Achilles heel. 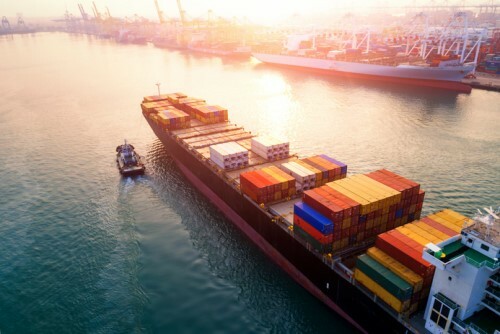 Aside from cyber risk, issues such as ‘global economic crisis’, ‘energy price fluctuations’, and ‘changing trading patterns’ were among the top issues for the maritime industry. Another major challenge for the maritime industry is decarbonization, or reduced dependence on fossil fuels. To succeed in this endeavor, the industry must find viable alternatives to traditional fuels and propulsion technologies. According to the report, both ‘non-fossil fuels’ and ‘alternative propulsion technologies’ are perceived to be less significant in impact and likelihood over the next 10 years. This is further confirmed by the industry’s low ranking of its perceived preparedness for both issues: ‘non-fossil fuels’ were given the lowest preparedness score of the section, with ‘alternative propulsion technologies’ ranking in third lowest place.